The following great neighborhoods were drawn from the Neighborhoods and Districts section of PPS's Great Public Spaces website, where we honor the world's best places. You'll also find details on the best parks, markets, buildings and streets submitted by website visitors eager to share their favorites with the world. City planners and transportation officials from throughout North America come to the Pearl to study it as a model for urban neighborhoods. It was once an industrial zone, now a hip loft area with galleries, shops and restaurants. A new streetcar line plays an important role in its success. Many historic brick warehouses and other buildings have been converted to housing, complemented by a bevy of new infill construction. The pedestrian-friendly nature of the neighborhood is so successful, with storefronts lining many streets, that many residents have gotten rid of their cars or use them very rarely. The College/Chapel Street District offers a few exceptional blocks of urban vitality in a struggling city that needs a reminder that such a thing exists. The area is across the street from Yale University, but until it was revitalized, a world away. It includes historic apartment and office buildings, along with three theaters that have long been important testing grounds for Broadway shows. The theaters and the neighborhood went into a tailspin along with the rest of New Haven in the 1960s. When developer Joel Schiavone bought the buildings in the early 1980s they were almost entirely vacant. Schiavone saw the potential of renovated theaters to act as anchors for new restaurants and shops and a flourishing neighborhood, and has stuck with making it happen. Schiavone's broad vision and long-term commitment have been crucial to the revival of this great place. The College/Chapel Street District today is a heavily-frequented, mixed-use area. 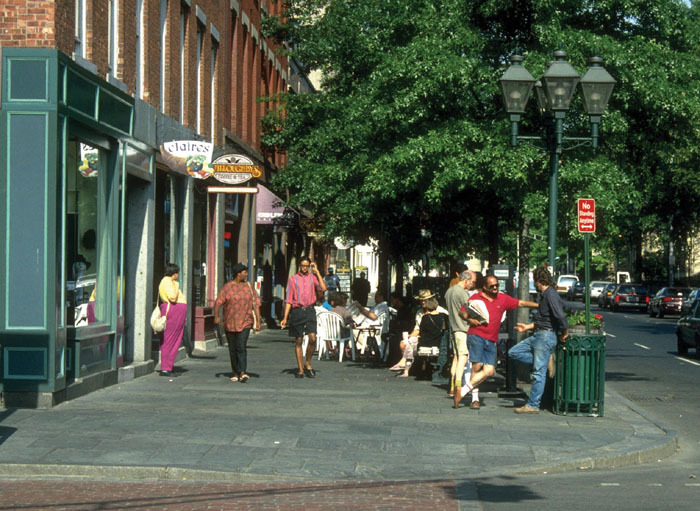 Improvements, including the narrowing of street lanes to create more life on the sidewalks, have resulted in three cafes with outdoor seating clustered around the corner of College and Chapel, accompanied by a newsstand, many shops, and lots of office space. 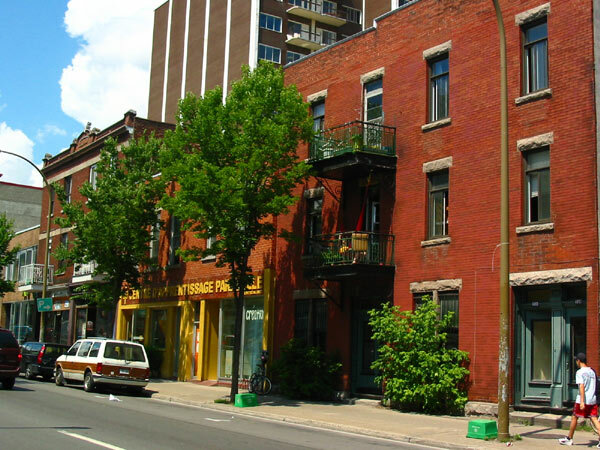 A quaint working-class quarter transformed into the artistic and cultural hotbed of Quebec. This is really Montreal's showcase neighborhood, featuring some of the city's finest architecture, cuisine and entertainment venues. Plateau dwellers include artistic types, university students, young families and an older generation of people who still remember this now-hip neighborhood when it was a working class melange of cultures and ethnicities. The Plateau is pleasurable to live in particularly because of the close connection of housing, shopping, parks and entertainment opportunities. It is extremely sociable, friendly and welcoming, and an ideal setting for long strolls. Pick-up games of soccer and Frisbee are always going on in the parks and people of all ages can be found strolling through streets and lounging in cafes during the afternoon. 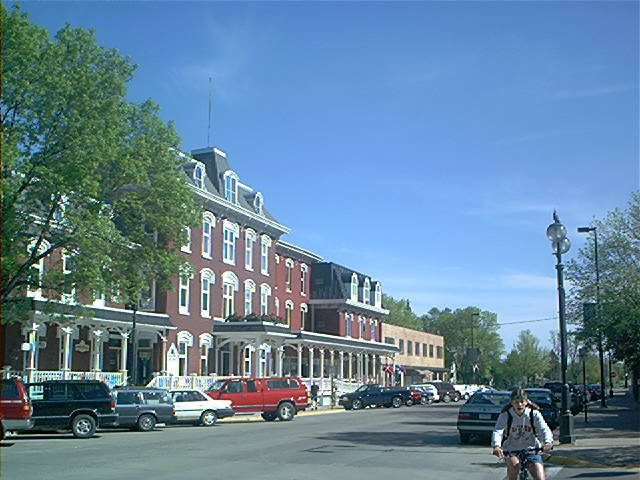 Northfield's downtown is full of energy and charm, from historic buildings to the graceful lamp posts to the store owners who bring their merchandise out onto the sidewalks. It is truly the heart of town, serving the adjacent neighborhoods and college campuses as well as the entire county. 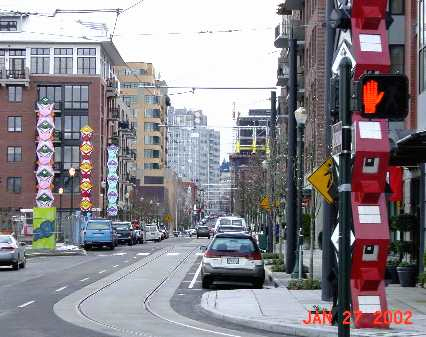 The downtown layout is not just a straight strip of street lined with buildings. Roads curve off here and there, with more business tucked around the corners. There are many nooks and crannies in the downtown area, and one could spend an entire day checking it out. The Cannon River jogs through downtown and is surrounded by walking paths, bridges and parks along its waterfront. In the summer, local performing arts groups put on shows on a regular basis and draw many people. The downtown area really makes you feel as though life doesn't have to be run at high speed every moment. This is America's first shopping center, from which all those following can learn important lessons. It is a pedestrian oriented district made up of 1920s Spanish-style architecture with towers, domes, and public plazas filled with fountains and sculptures. 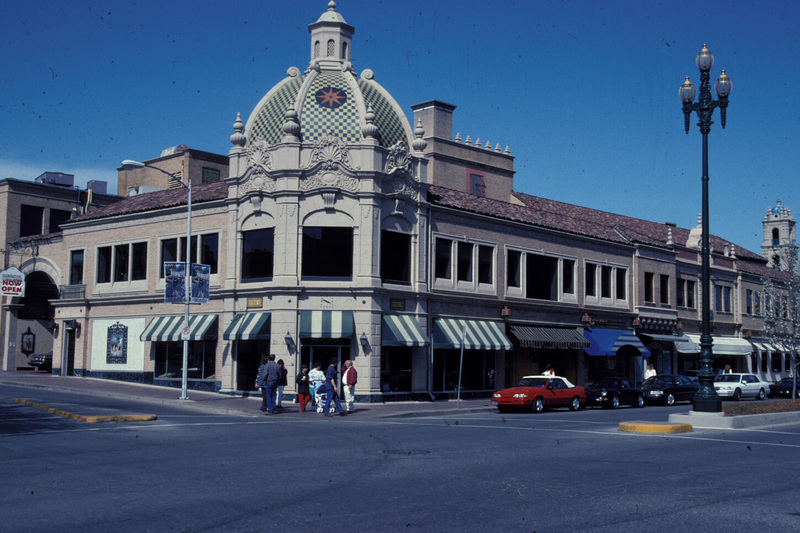 Historic residential buildings are interwoven into the commercial areas so that it is an active and alive place. It attracts people from all walks of life. Parking is hidden under and behind buildings. Brush Creek meanders through the Plaza with walkways on each side, and pedestrian bridges crossing it. You'll find sidewalk cafes, coffee houses, live music on various corners, plazas, and people from all walks of life. The adjacent Mill Creek Park is the premier place in town to jog, exercise, walk your dog or sunbathe. The JC Nichols fountain serves as the city's "speaker's corner," and hosts numerous political rallies and demonstrations. 1. Good places promote sociability These are the spots where you run into people you know, where you take friends and family when you want to show them the neighborhood. These places become the heart and soul of the neighborhood because they offer people many different reasons to go there. 2. Good places have lots of things to do The places people love most are the ones where they can pursue a variety of activities. Without opportunities to do something more than sit and look around, the experience you have in that place is "thin" -- there is nothing to keep you there for any length of time. 3. Good places are comfortable and attractive They beckon you to come visit. Flowers, comfortable benches with a nice view, and attractive lighting all make you feel this is a place you want to come to often. In contrast, a place that lacks these kind of amenities often feels unwelcoming and a bit threatening. It may actually be unsafe or just feel unsafe, but either way no one wants to be there. 4. Good places are accessible These places are clearly identifiable from a distance, easy to enter when you get closer, and it is simple to understand how you use them. A space that is not accessible will be end up empty, forlorn and often dilapidated. 5. Good places capitalize on the Power of 10 Think of the 10 most important places in your neighborhood. It could be the main shopping street, a park, playground, an interesting shop, a library, post office etc. Zoom in and think about one of these places and try to write down ten fun or useful things you can do there. For example at the post office, you can mail a letter or pick up your mail. At post offices which are truly good places, you can catch up on the community gossip, scan a bulletin board full of local happenings, and sit outside on a bench and open your mail. That makes it easy to chat with neighbors or just peoplewatch. If there is a coffee shop or vending cart nearby, you can even get a drink and sit and enjoy the passing scene. The Power of 10 is the simple but important idea that the more things there are to do in a place, the more beloved and central that place will become in your neighborhood. 6. Good places are inspired by the people who live there The big question is, of course, how do you begin to create the good places that every neighborhood craves? What process can you use to build spots where people want to hang out? Long experience has shown us that bottom-up rather than top-down strategies to create or revitalize public spaces work best. This approach is based on the simple idea that the people who live in a neighborhood are the world's experts on that particular place. Any project to improve things should be guided by the community's wisdom, not the dictates of professional disciplines. This is the most important lesson about making great neighborhoods we have learned in 30 years of work.